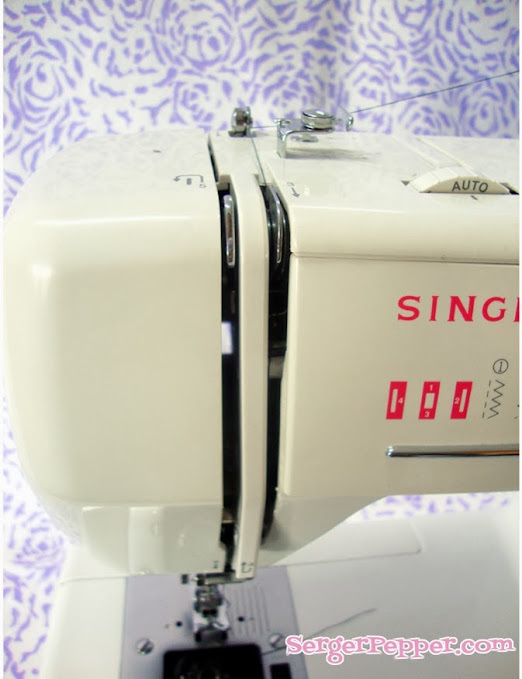 My Singer sewing machine was intended to be for a Beginner Needlewoman, so one of its features is the threading map: you can find helpful numbers on her outside, showing you the exact way to thread it. 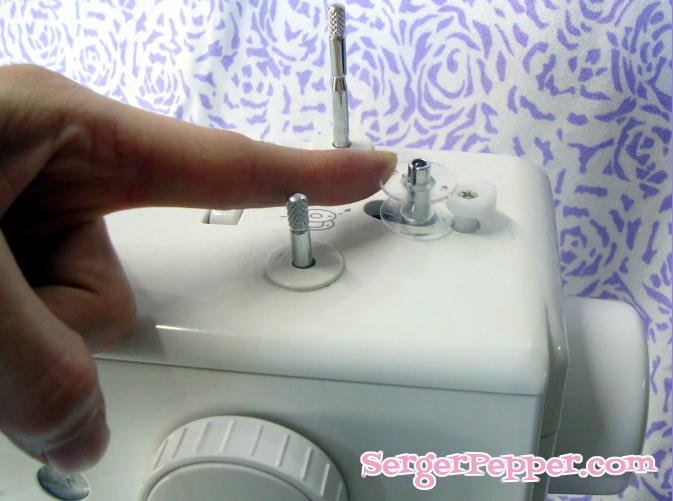 Place an empty bobbin on the bobbin pin, usually on top-right of your sewing machine, then pull it to the right to engage the bobbin winder: now, when you push your pedal foot, your needle won’t move and your bobbin will start turning around itself. wrap it around the bobbin body 4-5 times and leave it there: as you can guess this is the easier way to do that, so it’s my favorite one! 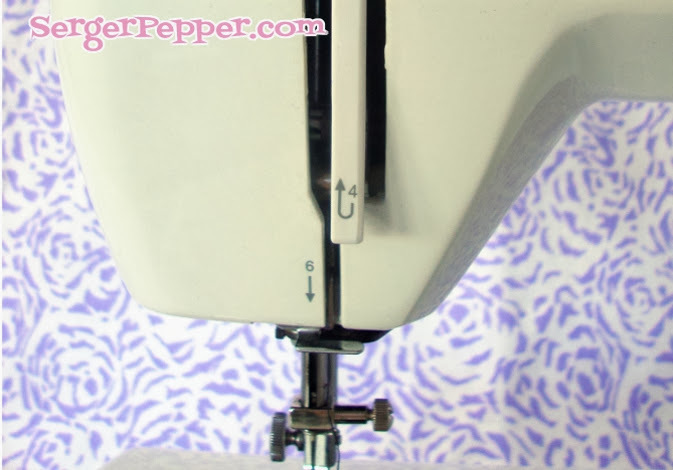 You can now push your foot on the pedal and wind your bobbin, until it is full or you’ve put enough thread on it (sometimes you only need a little thread to finish your stitching with an unusual color). 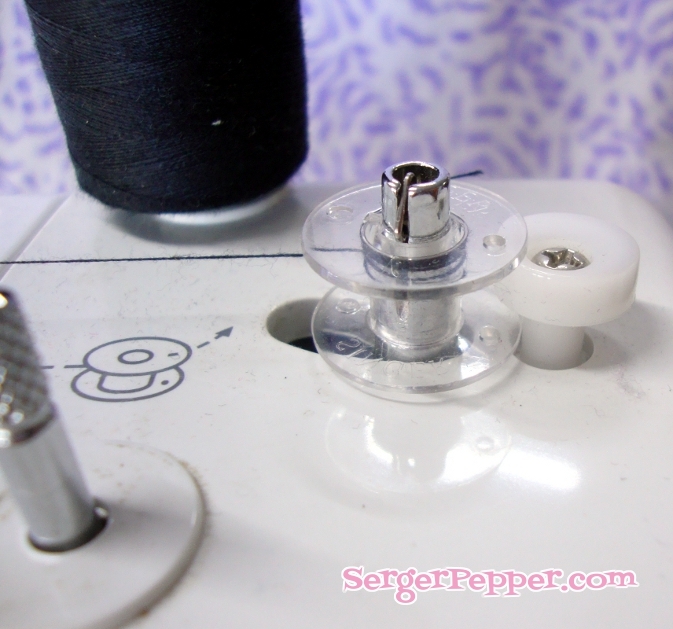 Tip: The little plastic thing you see near the bobbin winder can be used to adjust the amount of thread you want to put in your bobbin: just loosen the screw on it and rotate it until it reaches the desired position: now you know how to select the amount of thread you can put on every bobbin! 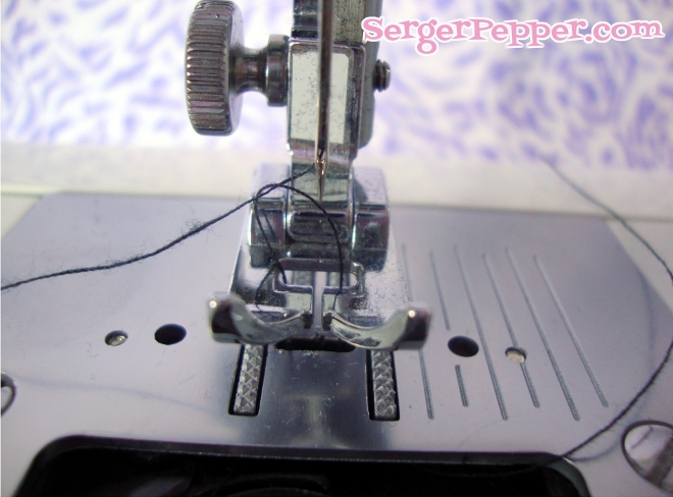 Cut the thread and disengage the bobbin winder, pushing bobbin and spindle toward the left, then remove the bobbin. Look at that lint… OMG! 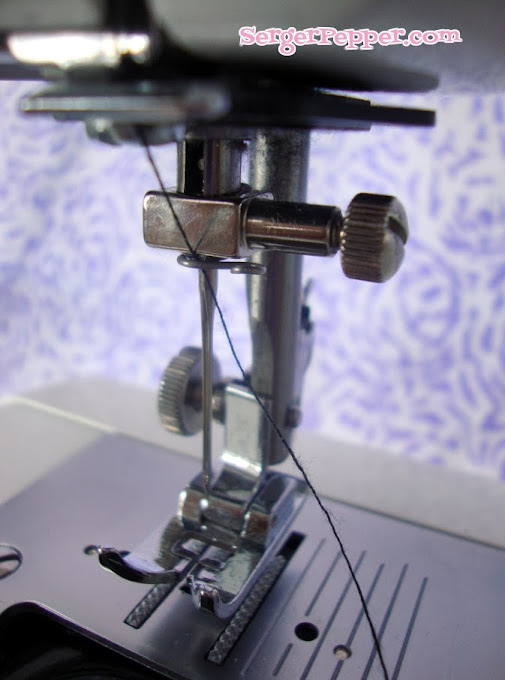 To place the bobbin, take a look at the red graph below: pay attention to the unwind direction of the thread and the route to follow (pull thread into the first notch, draw it back under the tension spring to the left, then let it out from the second notch). Leave 10 cm of thread tail. 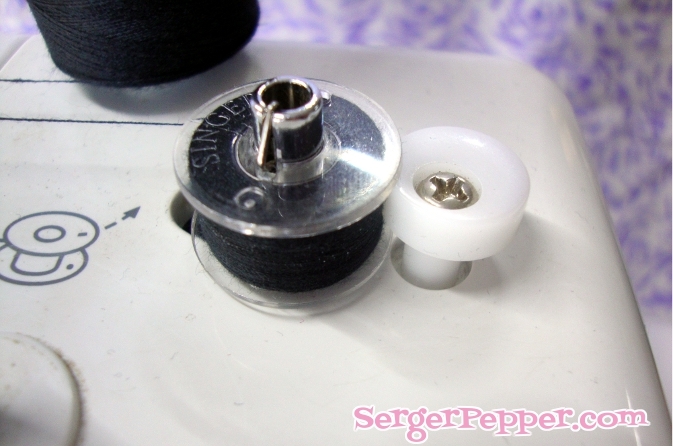 Tip: use the same thread on bobbin and spool, it helps you to avoid thread breakage! 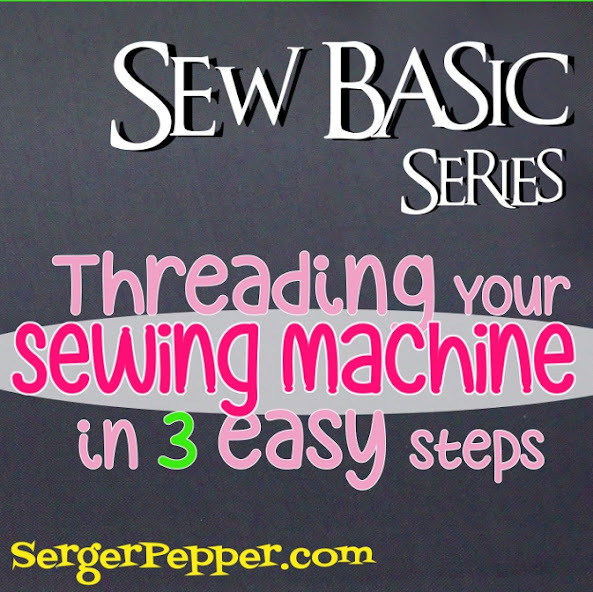 Let’s go threading our spool thread (upper thread)! First of all, raise your presser foot, to release the tension and check that your tension levers (number 5 on pics) are on the highest position! 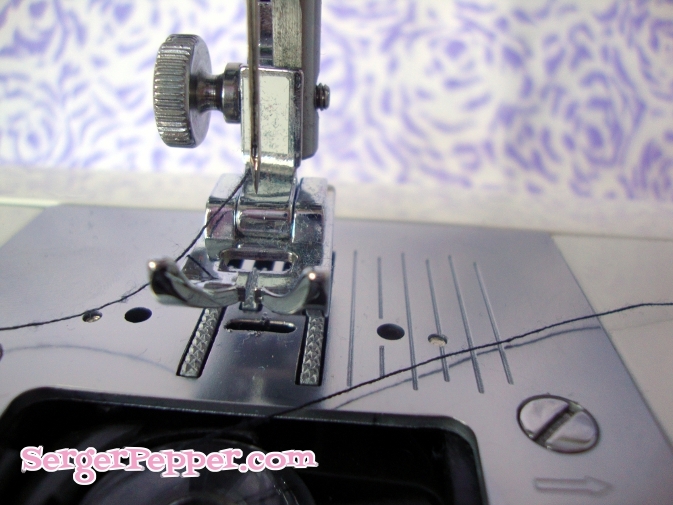 Before threading your needle, be sure to put your thread behind the little metallic guide right above the needle. 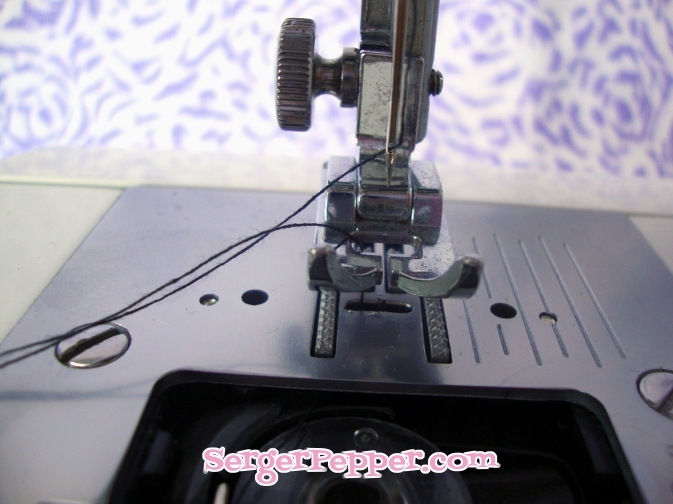 Thread your needle from front to back leaving a thread tail of 10 cm. 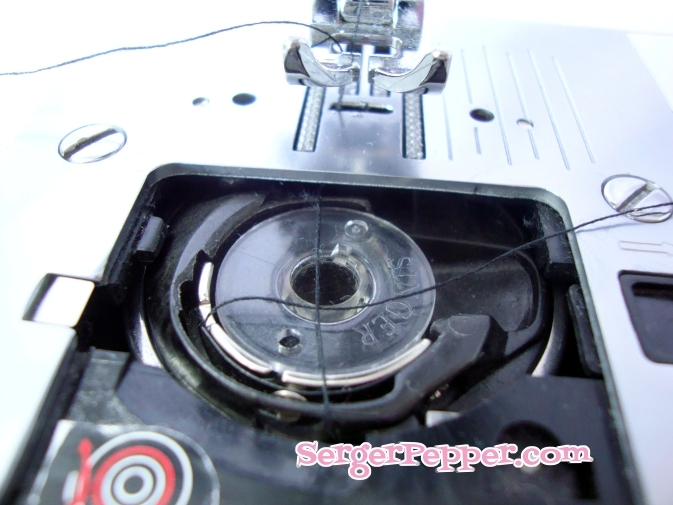 While gently holding the needle thread with your left hand, turn your hand wheel toward you, to get the needle inside the throat plate: you’ll see the thread turns around your bobbin and hold your bobbin thread. 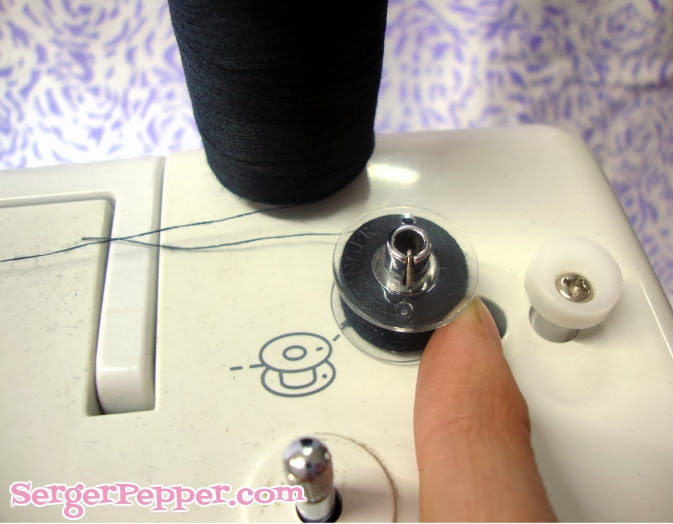 Go on turning the hand wheel until you’ll see a loop rising from your throat plate… it’s your bobbin thread!!!! Undo the loop pulling it with your hand and place both threads under the foot and draw them to the back of your sewing machine. 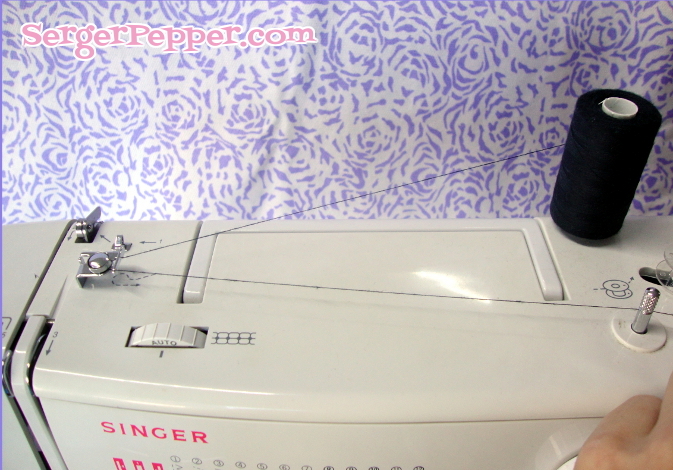 Task Threading your Sewing Machine: Completed!!! do you like FREE patterns? 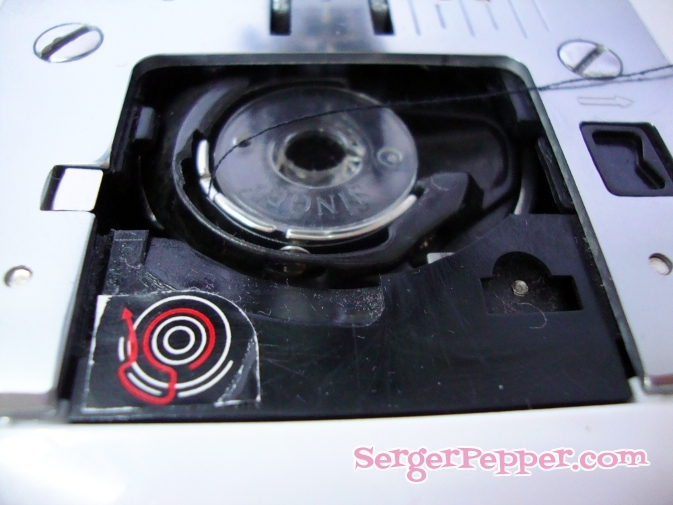 Do not procrastinate: if you subscribe now you’ll get the chance to receive the exclusive link to download it right before the tutorial post here on Serger Pepper. …so: What are you waiting? It’s easy and fast… plus it’s FREE! PS: Check the list of the linky parties where I would really be able to link up every week my posts… if only I had 48 hrs a day! You’re boring, Glenn Liams… You made exactly the same comment last week… I have to mark it as spam, as it is!! !